Luxury lifestyle brand Lullaby Luxe has just launched its new eco silk eye masks, which are available to buy throughout Europe and North America on Amazon. “We have just launched our new eye masks, as we have found there is such a huge demand for this type of product. 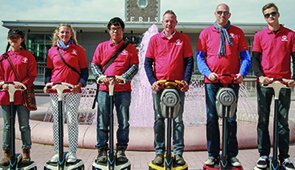 As we are all so busy running around, working long hours, and generally rushing about our day to day lives, there is a huge need for products that physically make you wind down and relax”, says Marketing Manager Estelle Brown, who is overseeing the international launch. To coincide with the launch of its new product, Lullaby Luxe has redesigned the already popular website LullabyLuxe.com. Estelle explains, “We have now focused our homepage on our new silk eye masks, because actually there are many reasons why people should wear eye masks, there is a lot more to an eye mask than meets the eye, excuse the pun”, she laughs. 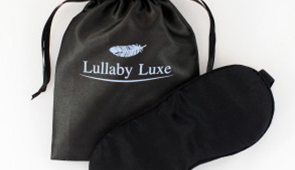 The new look Lullaby Luxe website very much focuses on the beauty research as well as the high quality products, in order to raise awareness, and highlights just how beneficial wearing a silk eye mask can be for anyone. The website Lullabyluxe.com was established in 2015, and the company manufacture high quality silk eye masks.